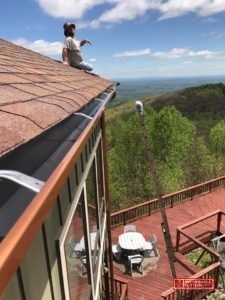 Affordable Gutters Plus, LLC is the company to call for your excellent rain gutter installation needs in Adairsville, GA. We supply your complete gutter and roof services, giving you top quality rain gutter installation for your house. Ease your worries about roof damage with our top quality rain gutter installation, just one of our many services provided to help you rest easy and prevent roofing damage. Craftsmanship and customer service are first priority for our expert, licensed contractors for each job. For each of your rain gutter installation questions, we are just a phone call away. 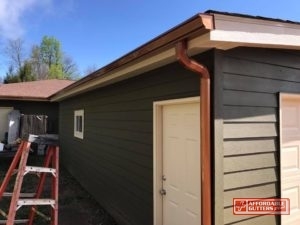 For the highest quality service around and rain gutter installation in Adairsville, GA, contact Affordable Gutters Plus, LLC today at 770-735-4433. 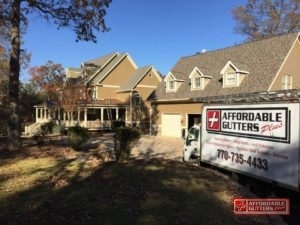 When you need home services, Affordable Gutters Plus, LLC is the one to call for houses in Adairsville, GA. You get more than only rain gutter installation from our contractors who complete everything including roof and flashing services. Roof Drainage Repair: Roof drainage repair can make sure your system functions correctly. Seamless Rain Gutters: With high quality installation from Affordable Gutters Plus, LLC, you get a system that supplies your house with safeguards without the worry of seam leakes. Squirrel Deterrent Flashing: Stop pests in their tracks with squirrel deterrent flashing for your home. Get these and many more services you need for your home. Your roof is the primary defender for your home, safeguarding the framework from damage caused by storms, winds, and hail. Installing a quality gutter system can safeguard your roofing from unforseen damage caused by water, improving its defense. Give us a call today at 770-735-4433 to speak with one of our contractors about your house’s roof or rain gutter installation in Adairsville, GA.
Homes are big investments that should last a lifetime. Affordable Gutters Plus, LLC knows that you should receive services that guarantee this, which is why we strive to provide you with gutters that are installed to last as long as you occupy the home. Licensed contractors make sure you receive the systems your house needs with expert installation techniques. No matter what service you require, you always receive top-notch craftsmanship and superior customer service. For all of your rain gutter installation requirements in Adairsville, GA, call Affordable Gutters Plus, LLC today at 770-735-4433.